When your skin looks and feels tired, old, and dull, it can make you feel less than confident. 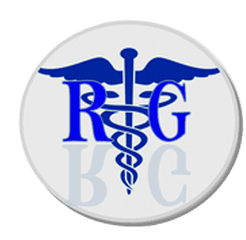 Dr. Rimma Gelbert in Brooklyn, New York, offers a number of noninvasive cosmetic treatments that help to rejuvenate and restore the quality and look of your skin. For a consultation about what cosmetic procedures may benefit you, call or schedule an appointment online with our esthetician today. What makes my skin look dull and tired? These factors can cause your skin to look old, tired, dull, and rough. If your skin leaves you feeling less than confident, you may benefit from noninvasive cosmetic services offered by Dr. Gelbert from the comfort of her office. Dr. Gelbert proudly offers these cosmetic procedures from the comfort of her office, without the need for sedation or a lengthy recovery. What are the benefits of these cosmetic procedures? Dr. Gelbert and our esthetician will work with you to determine which cosmetic procedures help you meet your skin goals most effectively. What healthy habits can benefit my skin? Facials, dermabrasion, and cellulite reduction help improve the appearance and quality of your skin and give the confidence boost you need to feel younger and more attractive.